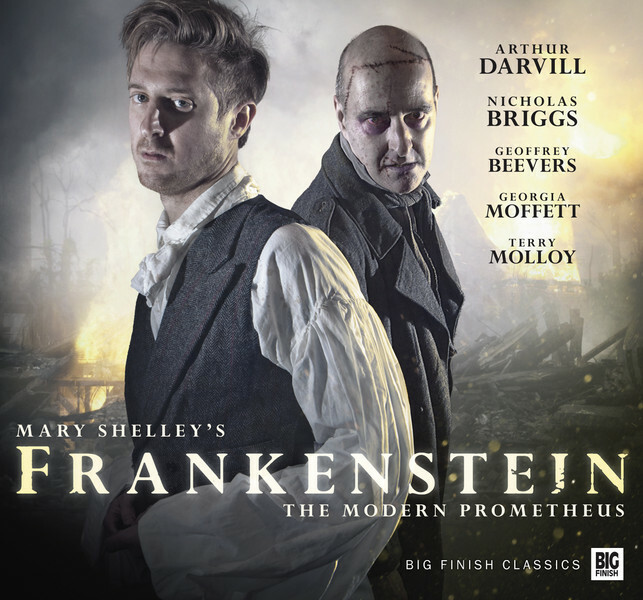 Arthur Darvill, Mr. Amy Pond, Rory Williams himself, essays the role of the tortured and driven Victor Frankenstein…or at least so the character was written and intended to be performed. 5th Doctor Peter Davison’s lovely daughter (and wife of 10th Doctor David Tennant) Georgia Moffett clocks in as his longsuffering, ultimately unfortunate wife Elizabeth. Terry Molloy and Geoffrey Beevers, despite comparatively smaller roles in the production, also make their presence felt.